The election will open April 8 and run for two weeks until April 22. Ballots will be sent out via email from noreply@electionrunner.com on behalf of Caroline Marshall. You will see my name in the “from” field. Please check your inbox and spam folder over the next few days and contact me directly if you do not receive the email from Election Runner. It will be sent to the email you provided when renewing your MLGSCA membership. 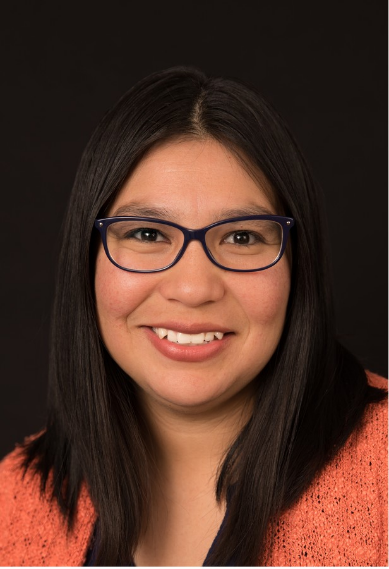 Bio: My name is Naomi Bishop and I am, Akimel O’odham/Pima, a member of the Gila River Indian Community of Arizona. I am the new health sciences librarian at the University of Arizona College of Medicine Phoenix. I am interested in being President -elect of MLGSCA because I want to engage with Medical librarians in all different settings and foster learning and collaboration across Southern California and Arizona. Here is a little more about me. I received my Master of Library and Information Science from the University of Washington School in 2010. I have a Bachelors of Arts degree in German Studies from the University of Arizona. I lived in Germany as an exchange-student in high school and studied abroad a year in college. My work experience specializes in health, biomedical sciences, and engineering. I was a solo corporate librarian at Roche Tissue Diagnostics in Tucson from 2012-2015 and most recently a science and engineering librarian at Northern Arizona University. I served as the President of the American Indian Library Association (AILA) from 2017-2018, the Special Libraries Association Arizona Chapter President from 2014-2015, and Chair of the American Indian Library Association’s Youth Literature Awards from 2014-2018. I am a member of the Medical Libraries Association, the American Indian Science and Engineering Society, and the American Indian Library Association. I am a dedicated leader looking for the opportunity to be involved in MLA at a local level. Some of my ideas for MLGSCA webinars and CME include inviting members to present/ highlight their work and research, learning more about MLA changes, and creating opportunities for new members to connect with more experienced health librarians. Thanks for this opportunity to be a part of something meaningful and fun! Bio:Since 2015, I have worked as a medical librarian for the Los Angeles Region of Providence St. Joseph Health. Working with a library team that is distributed across several states, I provide extensive reference services, typically completing more than five hundred literature searches each year for physicians, nurses, and allied health professionals. I’m also heavily involved with several nursing research groups, assisting in individual research projects and in building hospital- and regional-level processes for administering nursing research. In the summer of 2018, I participated in the first MLA Research Training Institute, and I’m currently collaborating with nurses on an original qualitative research project involving patient education and consumer health information. This project is supported by a research grant from MLGSCA. I received my MLIS from the University of British Columbia, where I took classes in health sciences librarianship and medical informatics. I served as Co-President of our Special Libraries Association Student Interest Group and as Communications Secretary for the Canadian Health Libraries Association group. In the summer of 2017, I completed a graduate certificate in clinical informatics through an online program offered by Oregon Health & Sciences University. I’m passionate about health information and love being part of a great library team at Providence St. Joseph. It brings me great joy to ease clinicians’ access to information that improves patient outcomes, and to support researchers in moving healthcare forward. Bio: I am an information services and nursing liaison librarian at Norris Medical Library, University of Southern California. I am the current MLGSCA secretary and I would like the opportunity to continue serving. The experience has been very rewarding. I enjoy being involved and contributing to the ongoing success of MLGSCA. 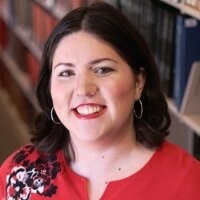 Bio: My name is Sydni Abrahamsen, MLS, AHIP and I am a consumer health librarian in the Patient & Health Education Library at Mayo Clinic in Arizona. I received my library degree from the University of Arizona in 2014, and have worked at Mayo Clinic since 2016. In addition to my work in the patient library, I am involved in various patient education activities at Mayo Clinic and am the secretary of the subcommittee for patient and family education. I am originally from South Dakota, but have called the Phoenix area home for many years. I’ve been a member of MLGSCA since 2014 and was involved in planning the 2018 Joint Meeting in Scottsdale, AZ. 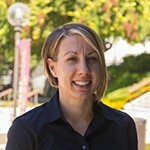 Bio:Angela Murrell is the Instruction and Research Librarian at Scripps Research in La Jolla, Ca. Previously, she was Senior Librarian and manager of the library at Bastyr University, Ca campus. 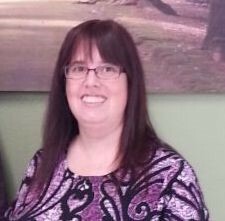 Angela has been a member of MLGSCA since 2005 and is currently the MLGSCA Webmaster. In the past, she has served on the MLGSCA CE Committee and Connection Committee from 2009 to 2011. Attending the MLGSCA joint meetings have helped her build and maintain connections within southern California, and eventually to her facilitating a local networking group, San Diego Health Science Librarians. 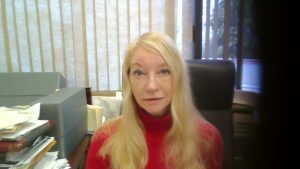 Her interests also focus on instruction, and she was Vice-Chair/Chair from 2012-2014 of another southern California group, Lifelong Information Literacy interest (LILi) group, also serving on the By Laws Revision Committee 2012-2013, the Conference Planning committee 2013-2014 and serval other committees in that group. She has also been a member of MLA since 2003. In addition to her professional involvement, Angela serves on her son’s School Site Council as Chair which oversees the Title I fund allocation and student achievement. Angela would like to continue to give back to the MLGSCA through service as the next Secretary. Bio.Kevin Pardon is a Health Sciences librarian at Arizona State University where he serves as a liaison to the faculty, students, and staff at ASU’s College of Nursing and Health Innovation and College of Health Solutions. In this role, he leads instruction sessions, assists with literature searches, and develops online learning modules – among many other things. 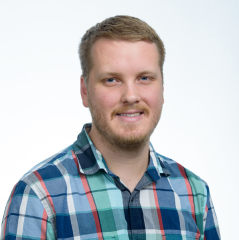 Kevin joined MLGSCA six years ago when he moved to Arizona from Michigan and is a graduate of the Library & Information Science program at the University of Pittsburgh. He is a current member of MLGSCA’s Research Committee, MLA’s Nursing and Allied Health Resources Section (NAHRS), and MLA’s Research Section. He has also previously served as president-elect and president of Central Arizona’s local group of health sciences librarians (CABL). He looks forward to the potential opportunity to become Treasurer and serve MLGSCA in this role. Bio: I have been with Charles R. Drew University of Medicine and Science for two years and am the school’s University Archivist, where I am immersed in my passion, the history of medicine on a daily basis. I received my MLIS, with an emphasis in Archival Studies, from San Jose State University in 2009. Thus far, I’ve had a very interesting career as a librarian in hospital and academic libraries, and as an archivist in pharmaceutical, academic and hospital archives. I have a Bachelor of Science in Business Administration from Cal Poly Pomona, where my major was Finance, Real Estate and Law. I currently chair MLGSCA’s Finance Committee and co-chair the Professional Issues Committee. In addition to my membership in MLGSCA, I am a member of MLA and the Society of California Archivists. I enjoy being part of MLGSCA and look forward to serving as Treasurer if elected. Bio Jackie Davis, MLIS, AHIP has been a librarian for over 15 years working in a military library, a public library, in the world of adult literacy, and found a home as a consumer health librarian for over 11 years. She has experience as a community organizer and has taken these skills into the library at Sharp Memorial Hospital. 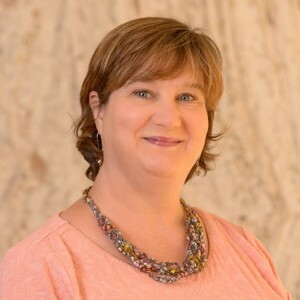 Jackie has won the CAPHIS Consumer Health Librarian of the Year, one of four Gale/Cengage Librarian Superheroes awards, and was the grateful beneficiary of the First Time AHIP Award. She has presented numerous times at the Joint Meetings and looks forward to being able to give back to MLGSCA through serving on the Nominating Committee. Bio: Mary E. White served as the pharmacy librarian at Kaiser Permanente in the Drug Information Services Department until 2018. Previously, she worked at the Kaiser Permanente Bellflower Medical Center as well as the Kaiser Permanente Baldwin Park Medical Center where she managed the Libraries and Physician Education Departments. 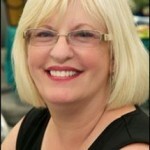 Mary has been an active member of MLGSCA and MLA since 1984, and was elected President of MLGSCA, July 2012- June 2014. She served two terms as President due to the President-Elect relocating to the east coast. Mary also served in the Past-President role in 2014-2015 and Chair of the Nominating Committee 2014-2015. In addition, Mary was Chair of the MLGSCA Government/Bylaws Committee 2009-2011. Mary has presented posters at both MLGSCA and MLA, most recently at the 2017 MLA meeting in Seattle, WA. Mary graduated from the University of Southern California with a Master of Library Science and holds a Bachelor’s degree in history. Bio. Hello! I’m Janice Hermer. I have 28 years of experience in health sciences libraries, most of the time in Canada. London Health Sciences Centre Library, Durham Region Health Department Information Centre, the Veterinary Medicine Library at University of Saskatchewan and University of Manitoba Health Sciences Library are in my past. My present is as a Health Sciences Librarian at Arizona State University Library. I am new to MLGSCA. My first experience was with the Annual Meeting and Conference in January of 2018. I was so impressed by the quality of the conference and with conversations with other attendees. I am still making contacts and learning the value of local professional associations in the USA and MLGSCA has risen in my estimation with both practical and professional value. I hope to serve the members of MLGSCA and support our profession as I have been supported in my growth in expertise as a librarian. Bio:Scott Johnson is the Director of Library Services at Marshall B. Ketchum University (MBKU). Scott has been a librarian since 2011, a member of MLA and MLGSCA since 2015, and a member of the Academy of Health Information Professionals (AHIP) since 2018. He was previously the Education/Technology Librarian at MBKU and served as the liaison to the Optometry and Physician Assistant programs. Scott co-authored a peer-reviewed paper and presented a poster at the MLA conference on evaluating Physician Assistant LibGuides for collection development. He also serves as the chair of the website committee for the Association of Vision Science Librarians special interest group.